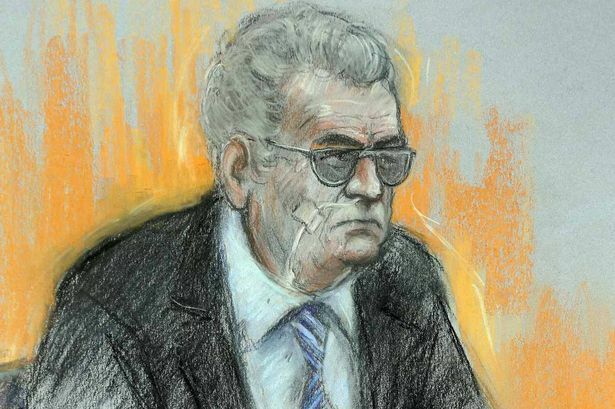 This week has seen the conclusion of a mental health tribunal during which Ian Brady, the notorious Moors murderer, has argued that he is no longer suffering from a mental illness and should therefore be transferred from Ashworth, a high security hospital, to a mainstream prison to serve the remainder of his life sentence. The passage of time has done nothing to dim the overwhelming sense of repulsion and hatred felt by the general public towards Brady. There is no clamour or appetite for his release, despite his advancing age, or the fact that he has spent the last 46 years in custody, factors that could well have softened attitudes in different circumstances. The case of Ian Brady continues to challenge and disturb in equal measure, calling into question issues of justice and compassion for both perpetrator and victims alike. For those who might bemoan the lack of capital punishment in the UK, it is very clear listening to Brady’s testimony, that substituting the hangman’s noose for life without parole, is no easy option. In a series of correspondence between himself and the journalist Eric Allison in 2006, Brady described how he hadn’t exercised in the open air since 1975; ‘walking from a matchbox into a shoebox of sunshine only reminded me of where I was and could be’, noting that this lack of sunshine coupled with a heavy smoking habit had done nothing to affect his health, ‘my luck has run out, I can’t even catch cancer…When you know from day one that you’ll die in prison you discard all past indulgences and draw from memory, having no present or future’. It’s difficult not to feel just a modicum of pity, which of course is the desired affect. Brady is a certified narcissist with a severe personality disorder, entirely self-centred and manipulative. It is only when one remembers the precise nature of his horrific crimes, the deliberate pain and cruelty he inflicted not only upon the murdered children, but also their parents and all empathy vanishes, especially when Brady continues to refuse to show a speck of remorse for his actions, claiming at his tribunal that he was ‘little more than a petty criminal’. Brady presents a dichotomy between insanity and evil, popular comment wishing to present him as either someone wildly out of control, or a man in full possession of all of his mental faculties, cold, cunning, wholly rational with no capacity for emotion or empathy. The truth, as always, would appear to be somewhere in-between. Brady’s apparent lack of love for anyone but himself, would indicate that regardless of whether his original diagnoses of paranoid schizophrenia is still correct, he is still in the grip of a mental disorder. Attitudes to mental health are beginning to develop so that most of us are aware of, and in all probability know someone, who whilst mentally ill is still able to function at a high level in society. Brady is evidently very unwell, despite his cognitive abilities, but this still does not preclude the uncomfortable possibility that he is also, undoubtedly evil. What other word could one use to describe a man who talks about the sadistic torture he inflicted upon children, as being ‘an experiment’ and who mentally tortured the mother of one of his victims, denying her the chance to give her son a Christian burial in a game of cat and mouse, right up until the day of her death? But Ian Brady’s state of mind or capacity for evil, should not be taken into account when deciding upon appropriate punishment, treatment and whether or not he should be accorded the right to die. A Christian response recognises that redemption and salvation is always available even for the most heinous of offenders, no matter unpalatable that may seem. This is where we see the necessity of a commandment to love, not just certain sinners but to all of them, Ian Brady included. Where there is life there is always hope. Most pertinently, as a civilised society, we have to overcome our instincts to allow Brady to suffer in the name of revenge, or to allow him to quietly die in a manner of his choosing, so we no longer have to worry about him, remembering that justice must always allow for rehabilitation. Regardless of Brady’s crimes or state of mind, none of us have a right to precisely determine the manner and time of our death. The state must never aid or abet suicide, no matter how compelling the reasons. To grant Ian Brady the right to die denies the sanctity of life, validates his feelings of hopelessness and cedes him a sense of control that he has neither earned, nor is granted to those of us not in prison. Noone stands by and watches someone commit suicide without an attempt to intervene. By making suicide an acceptable option for those faced with life imprisonment following dreadful crimes, we reintroduce the death penalty by stealth and rule out any possibility of spiritual reconciliation. We put vulnerable prisoners at risk and even under obligation and pressure from ruthless cellmates or society. One could argue this is a much crueller fate than the quick flick of the trapdoor switch. Previous Post And vigils don’t work? Are you SURE he loves himself? I presume some Christian chaplain has spoken to Ian Brady about his eternal soul. There was a very interesting interview just before the tribunal with an expert (think she was a psychiatrist but not sure). It was her opinion that Brady’s behaviour, including the tribunal was part of his narcissism. The same would go for his treatment of Keith Bennet’s mother. He wants to be the centre of attention. After his comments about suicide mean that on a move to prison he would need to be put on suicide watch, this putting him in the centre of attention- of a few prison officers if no one else. The interviewee suggested that this was to give Brady exactly what he wanted. Of course God’s invitation is open to Brady at all times. However from the outside it seems difficult to see how Brady would ever want to accept such an invitation. It would involve admitting he was wrong (after all these years he described the murders as an ‘existential experience’) and showing remorse. So many people have described him as ‘mad and bad’. He is a man with extreme mental illness and who has also given himself over to evil. The tribunal decided that the best place for him is in Ashworth still. Partly he needs to be in a place where on going treatment is a possibility. He needs that for his own sake. He also needs to be there for the protection of others. He showed nothing at the tribunal that suggests his attitudes have changed from when he committed the murders. Pertinent and challenging, Caroline. A good article – thanks.